Below Treeline is the lowest of three elevation bands used in the CAIC's forecasts. 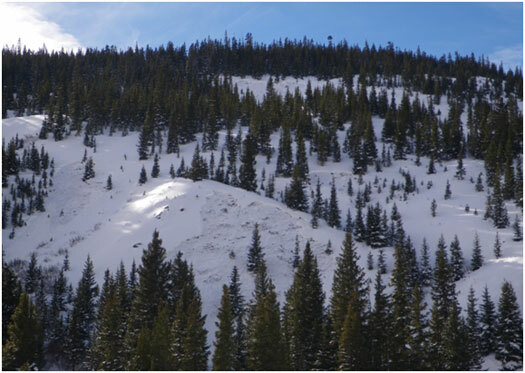 It extends from valley floors or snowline to Near Treeline. Open areas and sparse trees are possible. Snowfall tends to be less than the other elevation bands. Tree cover shelters the snow from wind effects.